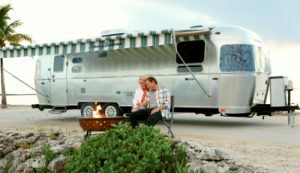 Airstream Trailers Inc. is always effective when it comes to capturing the attention of RVers with its special edition models. For 2017, the company entered a three-year collaboration project with Tommy Bahama, offering the Tommy Bahama Special Edition Travel Trailer plus two Special Edition Interstate Touring Coaches. 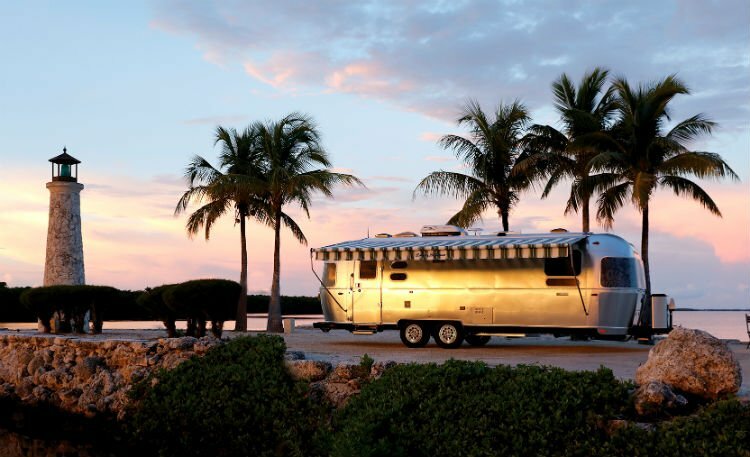 Following the launch of the Airstream Classic 33, the Tommy Bahama editions are other new models from the company. Seen here is the Tommy Bahama Special Edition Travel Trailer. The special edition models also include the Airstream Interstate Grand Tour EXT and the Lounge EXT Touring Coach. A Seattle-based company, Tommy Bamaha offers a wide range of stylish men`s and women`s apparel, accessories, and home furnishings, representing a relaxed pace of island living. With Airstream`s vision of exploring new destinations, the results of the collaboration are three spiffy units with reliability. It`s quite common for Airstream to use the 27FB as a base model for themed models and the Tommy Bahama Special Edition Travel Trailer is no exception. 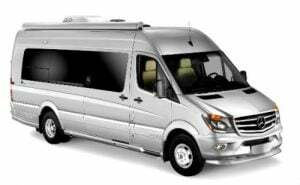 However, they also chose to include the Airstream Interstate Grand Tour EXT and the Lounge EXT Touring Coach with the Sprinter chassis. 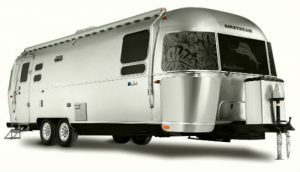 This is an Airstream-first for a partnership and Humphreys explains that the models simply expand its Class B line for consumers. 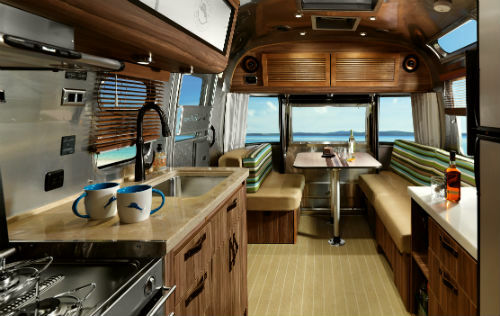 The interior of Tommy Bahama Special Edition Travel Trailer. Regardless of the platform, however, all designs encompass breezy, beach-influenced features that reflect the essence of the outdoors for both brands. A newly designed well-lit bar with etched, branded glasses, accessories, and an ice maker. Louvered OceanAir Caribbean-style blinds and cabinet doors. Tommy Bahama print designs for separation walls and bathroom walls. Custom Tommy Bahama fabric in the seating areas. Also, a key effort is the bar area with lighting. In the trailer, Airstream redesigned a portion of the living area (across from the galley) to accommodate this space. On the B van, the bar is set behind the galley. Both provide ample room to hold five or six bottles, the branded glasses and accessories. What’s more, the Interstate Grand Tour EXT has seating for up to seven, while the Lounge EXT has seating for up to nine. 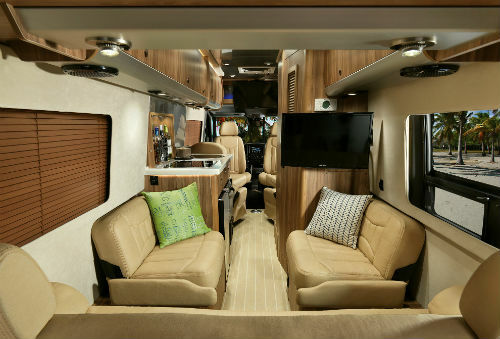 Some added touches in the vans include Tommy Bahama embroidery in the front seating and textured woven flooring, which is another first for Airstream’s motorized B model. The collaboration represents the relaxed pace of island and outdoor living. 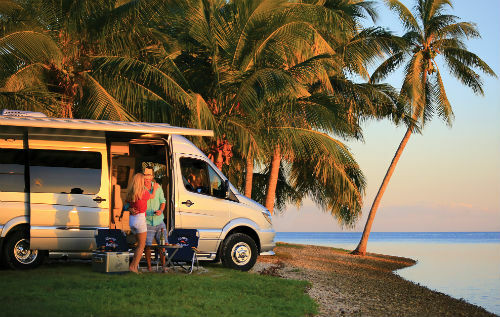 While the models are not numbered (as Airstream has done previously), the Tommy Bahama Special Editions are limited. But most importantly, they offer the functionality and are dressed to the nines, adding more style to outdoor adventure. 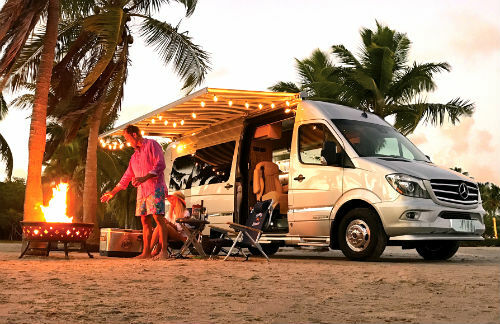 Base MSRP pricing for the Tommy Bahama Special Edition Travel Trailer is $114,600, while the base MSRP pricing for the Tommy Bahama Special Edition Touring Coach $165,050. Without a slide out then it really a waste of money and lost usable space. A waste of money? My airstream argosy is a 1973 that people think is new. That waste of money will out last any other brand on the road.